From the first moment that gambling appeared in our collective history, it was a social activity. It was dependent upon a few people getting together to wager on the result of something they were witnessing. You couldn’t get any action with just one guy standing around betting himself that the raindrop on the left side of the window was going to reach the bottom before the one on the right. For hundreds, if not thousands of years, gambling was something that needs socialization. Casinos were built, and people traveled from all over the world to play in them and rub elbows with other players. Things changed when the first online casinos ‘opened their doors’ and people started to like the idea of having the casino come to them. What could be better than playing a few hands of poker and then moving to the roulette table for a while before settling in at blackjack and all without leaving your living room? Since then, the online casino industry has become a juggernaut with an estimated $40 Billion in revenues yearly. Interestingly enough, some people still aren’t satisfied and feel that they are missing something. Players have realized that they miss the spirited side of the experience. Of course, they are still trying to win against the casino, and there is something to be said for that. What seems to be lacking from experience is the social aspect of gambling. We appear to have come full circle. In the past several years, social casinos have been making an appearance at a staggering rate. A social casino is an online gaming experience that offers similar options to online casinos with the additional advantage of social networking. The games can be connected to or played through your favorite social media platforms. You can invite friends to play with you or just let everyone in your contacts list know when you hit the big jackpot. The social casino brings the competitive edge back to online gaming with one crucial difference; they are typically built upon free games that use imaginary funds without any possibility for converting said funds to real cash. Yes, that is correct; there are no cash prizes in your average social casino. The good news is, the games are very often free, and you can play as much as you please without risking any of your hard-earned money. Many social casino games will have in-app purchases such as special power-ups, bonus games, or value multipliers but none of these are necessary, and you can still enjoy the games without paying anything at all. Some social casinos will offer particular games from time to time that cost a few pounds to access, and many have seasonal games that they release around the holidays. The reason that social casinos are free is that they can then be considered regular video games and therefore do not fall under the authority of various local or international gambling regulatory bodies. The main idea is that if you can’t win or lose any money, then you are not gambling, you are just playing casino-style games for fun. Social games are games that you play with others, on a social media platform like Facebook. The most popular social games are Farmville, Candy Crush Saga, and The Sims Social, with tens of millions of players since its inception in 2011. Social games can be played on many platforms, such as within Facebook or by downloading its mobile apps. Go ahead and search for casino apps in Google Play and iTunes. These games are branded as “play for fun” games and are usually oriented as casual games, rather than feature-heavy video games. Social casino games differ from real-life gambling as users look at it as playing casual games. They are played for smaller amounts, and there is no casino-pull effect. Which includes noise, flashing lights, and dark halls. Like casino games, social casino games do attempt to attract the addictive factor. But it’s carried out more playfully. Like usual online casinos, social casino games operate in much the same way. Offering similar games, with slots being the most popular. The only difference here is that huge jackpot doesn’t exist, and players win small amounts, virtual currency, as well as new levels of game features. Like in the case of Facebook, and various other social media sites, a player can invite friends to join in the fun. They can compete against each other, and exchange prizes, such as free spins. This ‘social’ feature makes it more engaging and relaxing than standard solitary online gambling. When you use social media popularly Facebook to play any casino game, that’s a social casino. They are played without genuine stakes and are marketed as being only for the enjoyment of the games themselves, not the risk-and-reward rush of betting real money. There’s no “objective” other than trying to win the jackpot and boost your number of coins, and that’s the primary appeal to many users. Like any other free platform game, social casinos offer players the chance to simulate the adrenaline of the real-life scenario, and it has become trendy. The trouble with social casinos is that, while the risk is removed, the thrill of victory is also a void thing. If you’ve played proper online casino and enjoyed it, you might struggle with the one-dimensional nature of social gambling. So, why would someone join a social casino? Are there any advantages? What is the point if there is no money to win? The fact that social gambling has become so huge tells us there must be something drawing people in. It is free – You can play to your heart’s content, and it doesn’t have to cost you a penny. Even if you run out of your virtual funds, most social casinos will credit you every so often just for logging in. They are eagerly available and do not require any complicated setup or pages of personal information. You can either play secretly or connect them to your favorite social media account, and they will build your profile from there. They bring the ‘social’ back to online gaming. Online casinos sold themselves on the idea that you could play right from your living room without having to get dressed. It was just you and their software. Today, most people check into their social media accounts several times throughout the day. This means they are looking for that connection to other people. If you are playing in a social casino, you can still sit in your living room, but now you can connect to all of your friends and family through the games. Most importantly, you can brag about your latest win or significant jackpot just by clicking a button and posting it on Facebook, Twitter, and many others. No real money – It is safe to say that most people try their hand at casinos because they think they can hit the big jackpot and win a significant amount of money, retire at a young age, and live in the lap of luxury. That is not possible when the money is not real and cannot be converted to anything of value. Fewer high-quality games – At the moment, many of the gambling apps for social media are created by independent developers. Some companies put their hearts into it, and some want to copy the latest release with a slight variation so that they can pick up some of the markets. Want To Join A Social Casino? So, how do you start and where do you find the apps? Because Facebook is so frequently used, it is a significant hub for social gambling. 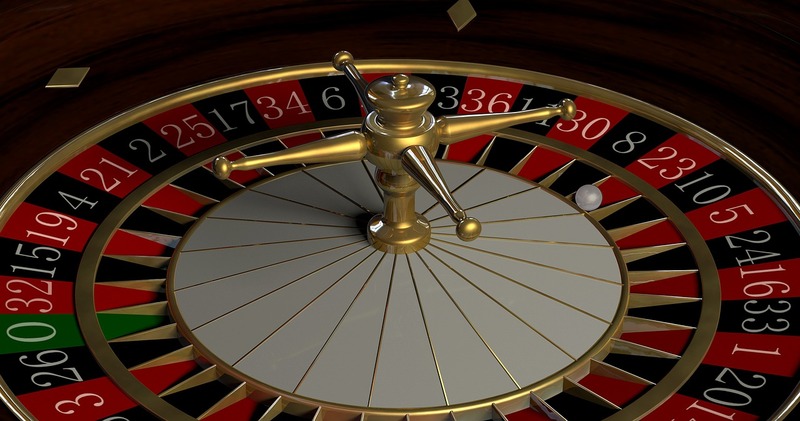 It has all the components to make it a natural fit for the social casino market. You can search for the games right from your home page and connect them to your profile with just a few clicks. Once that is done, you can invite your friends or showcase your accomplishments right from the game, and they will show up as a post from you. Online casinos have no connection with social media. Expert casino software developers expertly design games. Online casinos are played with real money. As you can tell, they’re fairly chalk and cheese. The main point that sticks out for us is the quality of gaming. If you’re playing with a regulated, licensed casino, then they will undoubtedly have put in the effort to buy games from reputable developers, which means the gaming experience will be above anything you could expect from a social casino. The unique selling point of a social casino is that it doesn’t cost any money you can bet virtual currency and win or lose by it. The vast majority of online casinos also do this. So-called free games, or demos, are exact replicas of the regular game with virtual coins instead of real ones. Which Is A Better – Social Casino Or Real Money Casinos? Social casinos offer a different dimension by allowing us to play with our friends. Real money casinos should take a hint and build a better “community” feeling. A few casinos are doing this well, such as the “Play with Friends” function in Poker apps and the chat boxes in Bingo sites too. Also, playing with virtual money takes away a little bit of the fun. It didn’t matter whether you win or lose, and the overall experience is less thrilling. You also knew that you could never take any real money home, no matter how lucky you were! Although there are downsides, social casinos open a whole new world of gambling fun. It is also great entertainment when you are completely broke. Which social casino do you enjoy? Are The Slots Great At Social Casinos? There is as much quantity and variety of slot games as you would find at a real money casino. At Trophy Slots, you can even find same games that you’d find at land-based and real money online casinos. You would recognize titles like Doctor Love, Merlin’s Magic Respins, and Potion Commotion. They have not stripped the games of its features either, so you’ll get the same slot experience. Now, how is this possible? Real-money software providers invest in a separate division for social gaming – NextGen Games creates NYX Gaming Group while IGT’s team is called IGT Interactive. These organizations adapt slots from real money online casinos and launch them on Facebook. NYX has also launched an affiliate program that is similar to real money casinos, whose primary aim is to attract more social gambling players. It’s a smart business move indeed, as the social gaming arena opens upmarket with many millions of new customers. There is a relatively small amount of developmental work required; instead of creating brand new games, they configure what they already have and repackage them onto a new platform. There’s an undeniable appeal to social casinos: they allow you to play with your friends on your favorite social platform, and you don’t lose any money if things go pear-shaped. Though the stakes can grow a bit staler over time, and online casino is a very suitable option for anyone who wants to up the adrenaline. Even playing with penny stakes is exciting, because there’s real money on the line. With as popular as social gambling has become, you have probably already received invitations from your friends to join in and enjoy some friendly competition. For all that, the social casinos are quite fun and if that’s enough for you, then play and enjoy social casino games!